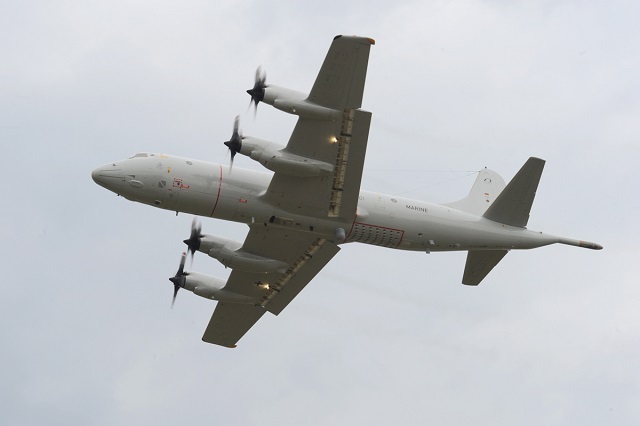 Officials from the German government, Lockheed Martin, and Airbus Defense and Space GmbH signed a contract in ceremonies in Koblenz, Germany, on 22 July 2015 for the upgrade of the German Navy P-3C Orion maritime patrol aircraft fleet. The contract includes production of eight Mid-Life Upgrade, or MLU, kits (outer wing, center fuselage, and horizontal stabilizer) by Lockheed Martin, primarily in Marietta, Georgia, as well as at other locations in the US. The first delivery is scheduled for November 2016. Airbus DS will be responsible for installation of the MLU kits on the German P-3Cs at its Manching, Germany, site. Aircrews from Norway, US Customs and Border Protection, Canada, Taiwan, and the US Navy are now flying P-3s that have received the MLU kits.